Pride Park Stadium, commonly known as Pride Park, is an all-seater football stadium in Derby, England, that is the home ground of English Football League club Derby County. With a capacity of 33,597, it is the 16th-largest football ground in England and the 20th-largest stadium in the United Kingdom. Located on Pride Park, a business park on the outskirts of Derby city centre, the stadium was built as part of the commercial redevelopment of the area in the 1990s. Derby County have played at the ground since it opened in 1997 as a replacement for their former home, the Baseball Ground. Due to sponsorship, the venue was officially known as the iPro Stadium between 2013 and 2016. Pride Park has hosted two full international matches, England vs. Mexico in 2001 and Brazil vs. Ukraine in 2010, and several England under-21 matches. It was also the venue of the 2009 FA Women's Cup Final. Before moving to the Pride Park Stadium, Derby County had played at the Baseball Ground since 1895. Although at its peak the ground had held over 40,000 (the record attendance being 41,826 for a match against Tottenham Hotspur in 1969) the Taylor Report, actioned after the 1989 Hillsborough Disaster had seen the legal requirement for English football stadia to become all-seater by 1994–95 season  resulting in its capacity dwindling to just 17,500 by the mid-1990s, not enough for the then-ambitious second tier club. An additional problem came with the ground's wooden components (considered unacceptable in the wake of the Bradford City stadium fire in 1985) and, in February 1996, chairman Lionel Pickering made the decision to move the club to a new stadium, having originally planned to rebuild the Baseball Ground as a 26,000-seat stadium. The club originally planned to build a purpose-built 30,000-seat stadium at Pride Park, with 4,000 car parking spaces, restaurant and conference facilities, a fitness centre, a supporters club and new training ground. A year later the stadium plan was changed to become part of a £46 million project by the Stadivarios group that would also include a 10,000-seat indoor arena. Peter Gadsby, however, the club's associate director at the time and head of the Miller Birch construction company, felt the project was both too ambitious and expensive and instead plans were drawn up by new Chairman Lionel Pickering to modernise and extend the Baseball Ground to hold 26,000, at a cost of £10 million. However, despite signing a construction agreement with Taylor Woodrow, Gadsby suggested the club make a second attempt at securing the then-redeveloping Pride Park business park, settling with Derby City Council for a smaller site than previously agreed. On 21 February 1996, prior to a match against Luton Town at The Baseball Ground, the club announced to supporters the decision to move to a £16 million state-of-the-art stadium for the start of the 1997–98 season. Derby City Council were paid £1.8 million for the land and the club's four directors – Lionel Pickering, Peter Gadsby, Stuart Webb and John Kirkland each paid £2.5 million towards a package deal to pay for the stadium. The stadium itself was based upon Middlesbrough's Riverside Stadium, which opened in 1995, though it had more than 30 amendments to the original plans. After toying with the idea of naming the new ground "The New Baseball Ground", it was settled that the club's new home would be called The Pride Park Stadium. Engaging the same architects as Middlesbrough (The Miller Partnership) Derby's plans predominantly followed those of the Riverside Stadium, with the first stage being a detached main stand facing a horseshoe running unbroken round the other three sides, with the possibility of the corners being filled in later and the ground's capacity being increased if and when necessary by raising the horseshoe roof. "From my youth I only remember this area as railway sidings and a municipal tip and what has happened to Pride Park is wonderful for Derby. So many businesses were attracted to the site once we had moved. I still get a buzz when I arrive for a home game – it’s a dramatic sight, a true county landmark." Pickering laid the foundation stone in November 1995 and, after decontamination, the first of the more than 1,000 pre-cast concrete piles was sunk in September 1996. This was followed by 6,500 tonnes of concrete and more than 2,100 tonnes of steelwork as the ground began to take shape. Tapping into the excitement amongst supporters, the club set up a visitors centre which included a computer-generated tour of the stadium taking shape and attracted more than 75,000 fans. The opportunity was also made available for supporters to buy special bricks – on to which they could engrave a message of their choosing – which would be set around the outside of the completed stadium. The weather of the 1996 winter was not kind to the contractors but extra urgency was provided by the news that the stadium was to be opened by the Queen. 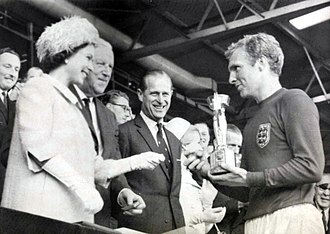 This news – the first time the Queen had opened a new football stadium – ensured that the workers, at one point behind schedule, had to pull out all of the stops to get the stadium completed in time. The pitch stood at 105 metres (344 ft) long and 68 metres (223 ft) wide, meeting the requirements for an international venue, and measured five yards (4.6 m) longer and four yards (3.7 m) wider than the pitch at the Baseball Ground. It also came with a three-metre (9.8 ft) grass margin. 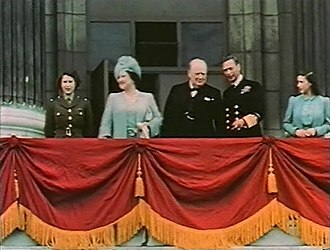 The Queen opened the stadium on 18 July 1997 in front of 30,000 spectators. By this time the south west corner, which stood between the main stand and the horseshoe, had been completed. The interest from potential corporate clients had been so high that Pickering pressed the board to go the full distance with the stadium, raising the final initial costs of completing the stadium to £22 million. Work was still in progress on the remaining corner on the opening day, leaving Prince Philip, Duke of Edinburgh to jokingly ask Taylor Woodrow contract manager Ross Walters, "Haven't you been paid yet?" An overture to the opening ceremony came two weeks later, on 4 August 1997, with the first ever game at Pride Park Stadium being played against Italian side Sampdoria, the match ending in a 1–0 defeat with Vincenzo Montella scoring the only goal of the game. The attendance of 29,041 was the highest for a Derby County home game in 20 years. The fixture kicked off a tradition of pre-season friendlies being held against European teams at the ground, with Barcelona (twice), CSKA Moscow, Athletic Bilbao, Lazio, Ajax and Mallorca all visiting the stadium over the next six years. The first competitive fixture to be completed at the new stadium came on 30 August 1997 and ended in a 1–0 win against Barnsley in front of 27,232, with Stefano Eranio scoring the only goal from the penalty spot. 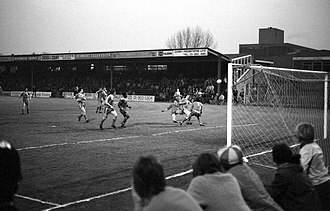 The stadium's inaugural competitive fixture against Wimbledon was called off with the score at 2–1 after the floodlights went out in the 11th minute of the second half. Referee Uriah Rennie abandoned the match following a delay of more than half-an-hour while engineers tried unsuccessfully to restart two failed generators. Gadsby said, "We had 11 maintenance people on duty including six electricians but nobody has yet worked out why both generators failed. There was a bang of such strength that it fused them both." This proved to be the only major problem with the new stadium, which delivered everything which had been promised of it and went on to gain international recognition. Later additions to the ground raised the capacity to 33,597 and a final cost of £28 million. Although the financing of the stadium's construction was carefully structured so that the club paid and owned the ground without encroaching on funds reserved for the development of the team, the club's eventual relegation from the top flight in 2002 saw it enter financial crisis and eventually it was temporarily entered into receivership by The Co-operative Bank, who instantly installed a new board composed of John Sleightholme, Jeremy Keith and Steve Harding, for the cost of £1 each. Financial circumstances worsened as the debt spiralled to £30 million plus and an unpopular refinancing scheme was put in place which saw the stadium sold to the "mysterious" Panama-based ABC Corporation and the club paying rent of £1 million a year to play there, which local journalist Gerald Mortimer described as "an affront ... to those who put everything into building [the ground]". The ownership trio of Sleightholme, Keith and Harding were dubbed "The Three Amigos" and, after came under increasing criticism from the Derby's support, in the form of two separate supporters groups, the RamsTrust and the Rams Protest Group (RPG), they eventually sold out to a group of local businessmen, dubbed "The League of Gentlemen" by the local press, led by former board member Peter Gadsby, in April 2006. The Gadsby-led consortium returned Pride Park to club ownership. Three years later, Murdo Mackay, Jeremy Keith and finance director Andrew McKenzie were charged with taking a secret commission worth £440,625 from the club and were sentenced to a combined seven-and-a-half years in prison. As of August 2009, the club still owed £15 million on the mortgage of the Pride Park Stadium which was later revealed to be due to be paid off in 2016. "In the past 10 years Pride Park Stadium has been a big economic driver for Derby, but while the area itself has become the city's main business location, other stadiums have now been built that combine with traditional football facilities new commercial outlets for those clubs and their fans. "When we first built Pride Park we were always aware of further development potential and when I came back to the club almost 12 months ago with the current Board of Directors we indicated we would look to maximise that potential for the benefit of the club.."
During the 2006–07 season, in which Derby earned promotion back to the Premier League after five years, the club released details of a proposed £20 million development of the area surrounding the stadium, to include the building of a 165-bed hotel, bars, restaurants and office space, to create a local service centre for employers located on the Pride Park business park. Three squares would also be introduced which would be named after legendary figures associated with the club – all-time leading goalscorer Steve Bloomer, the club's greatest manager Brian Clough and former chairman Lionel Pickering, who had died in 2006. The club insisted no money would be taken away from the team to pay for the development. 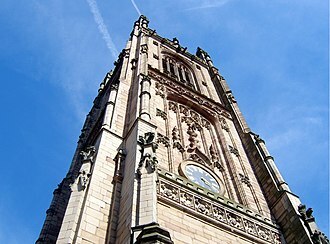 On 9 November 2007, Derby City Council agreed to let the plans go ahead. Following promotion to the Premier League in the 2006–07 season, the club announced plans to expand the capacity of the stadium up to 44,000 for the start of the 2008–09 season, if the club successfully survived. The plans included adding rows of seats to the north, south and east stands and would have allowed the club to break its current club record attendance. The club, however, failed to maintain its top-flight status and when, in January 2008, was sold into new American ownership, in the form of General Sports and Entertainment both the plaza plan and the ground expansion initiatives were scrapped. In 2008, a nine-foot-high bronze statue of Brian Clough and Peter Taylor – who had managed the club between 1967 and 1973 – was commissioned to adorn the north west portion of the ground to be called Unity Plaza. The statue was designed by Andrew Edwards and features both Clough and Taylor holding the League Championship trophy which they won with the club in 1972. 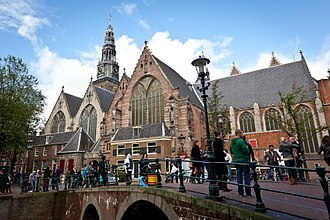 It was unveiled on 27 August 2010. In 2009, Pride Park was earmarked as a possible FIFA World Cup venue when Derby County announced its intention to apply to be one of the host cities as part of England's bid for the 2018 World Cup Finals, with Derby chief executive Tom Glick saying, "What we [the board] know is that Derby already has the core elements to be a host city ... We are going to find out what the requirements are but we are certainly expecting that the requirement would be at least 40,000 seats. The ability to do that at Pride Park Stadium exists, the land exists. So we know that if we were successful, that is something that could be done." To qualify as a host stadium, the ground would need to expand to at least 40,000 capacity and the club announced that three methods could be undertaken to achieve this, two of which would leave the stadium permanently expanded. 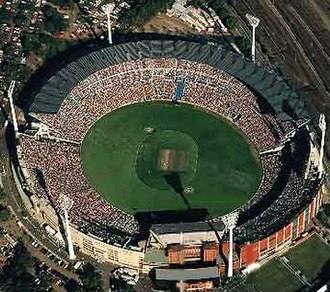 Option A would see the additional capacity supplied by temporary stands erected behind each goal, removing the current roof, and be supported by steel structures, with all the stands removed after the World Cup and the original roofing replaced. Option B would also see temporary seating built in the north and south stands as well as an additional structure placed on the east stand which the club could choose to keep, increasing the capacity to 39,000. The final Option, C, would see the removal of seating from the north, south and east stands and three new 20 row decks placed in each stand. This again came with the option of retaining the east stand expansion, raising the stadium capacity to a permanent 37,000. The club itself stated that it preferred to explore temporary, rather than permanent, expansion, saying "We'd like to meet the World Cup standards for matches when it comes to expansion but then perhaps scale down the stadium to something closer to where we are right now. That way, we can keep the intimacy and special atmosphere that has almost become a hallmark of going to a Derby County match. When the team play at home, having a full stadium is a huge advantage because it creates a brilliant atmosphere. What we wouldn't want to do is have a stadium that all of a sudden was too big after the World Cup had gone." On 16 December 2009, Derby's campaign was rejected by the FA, along with Hull and Leicester to local rival bid by Nottingham Forest. Tom Glick later commented, "We're all greatly disappointed. Thousands of hours of hard work has been put in across the city from a number of agencies. We need to get some feedback as to why the bid was not successful." The club was later unsuccessful in its attempt to be the Midlands football venue for the 2012 Summer Olympics, losing out to Coventry City's Ricoh Arena, with the selection committee citing the fact the stadium "has fewer dressing rooms and no hotel" in comparison to the Coventry-based stadium. On 17 January 2009, a bust of Steve Bloomer was unveiled next to the home dugout. On 3 October 2011, Derby County announced that they had submitted plans to Derby City Council for a £7 million development of land outside the stadium, which the club named "The Plaza @ Pride Park". These plans include five cafes/restaurants, two convenience stores and 2,000 square metres of office space. These plans have been scaled down from the planned £20 million pound development proposed in 2007. Derby County CEO Tom Glick said that these plans would help the club deal with the new Financial Fair Play regulations which will be introduced in the Football League from 2012, as revenue from the plaza will be reinvested back into the club. On 12 January 2012, Derby City Council's planning control committee gave planning permission for the development, Derby County chief executive Tom Glick said that the club had moved to the next stage of the development, finding a development company to build the plaza. It was announced on 3 May 2013 that the first phase was to be launched after the last game of the 2012–13 season when Derby County faced Milwall. Located in the north east corner of the stadium and close to the DCFC megastore, the initial phase will provide a mixture of retail and restaurant units totalling 7,000sq.ft. The development is being undertaken jointly by the club and Cedar House Investments, part of former chairman Peter Gadsby's Ark Capital group of companies. John Vicars, chief operating officer at Derby County, welcomed the launch by saying, "We see this development attracting perhaps a convenience retailer, and a restaurant to complement the facilities already available on Pride Park and to provide a greater choice. With the opening of the new multi-use sports arena and velodrome adjacent to the club, there will be even greater demand for these facilities." Peter Gadsby said: "The area is already a proven destination for leading occupiers including Greggs, Frankie & Benny's, Subway and Starbucks. I am particularly keen that this scheme will add to the success of Pride Park and provide further amenities for the 10,000 people that are working in the area. It is good news that this phase of the development will create a further 25 jobs." A phase 2 of the plaza will be considered once the velodrome has opened and will add further to the vitality and vibrancy of Pride Park. Derby-based FHP have been appointed as letting agents for the scheme. On 7 December 2013, Pride Park was renamed the iPro Stadium in a £7 million sponsorship deal with global sports' drink company iPro. The club announced the cancellation of the sponsorship deal on 18 November 2016, reverting the stadium's name back to Pride Park. The highest attendance at Pride Park Stadium for a competitive Derby County match is 33,378 in a Premier League match against Liverpool on 18 March 2000. Panorama taken from the South Stand. In a testimonial for Ted McMinn, on 1 May 2006, former players of both Derby County and Rangers contested a match at Derby County's Pride Park Stadium in which a record 33,475 spectators attended – around 10,000 of them being Rangers fans. The bust of Steve Bloomer, located adjacent to the home team's dugout. As one of the largest football grounds in the Midlands, Pride Park has also hosted some notable matches not connected to Derby County. Pride Park has hosted one full England international; a 4–0 friendly victory over Mexico on 25 May 2001, when the national side toured the country during the building of the new Wembley Stadium. The match also holds the record for the highest attendance at the stadium: a full-house of 33,598. Partly as a result of Derby's successful hosting of international U21 football, Pride Park was selected as a host venue as part of the English bid to host the 2013 European U21s Championship. Away from the England national side, the stadium hosted a friendly between Brazil and Ukraine on 11 October 2010. The match ended in a 2–0 victory for Brazil, with Dani Alves and Alexandre Pato scoring the goals, in front of a crowd of 13,088 live spectators and TV viewers in over 100 countries. Though Brazil coach Mano Menezes bemoaned the low turnout ("I expected more fans but I think it was a good game") though Derby chief executive Tom Glick declared himself relatively pleased with the turnout, saying "I think everybody was hoping that we'd have a sold out crowd of over 30,000 but, realistically, time was working against us. We only had 13 days to sell the tickets and a big crowd just wasn't on the cards. But I think we've proven that we can turn it around, operationally. The promoter, Kentaro, has seen that. So we have done ourselves a favour in terms of bringing something else like this back again and we will continue to pursue things like this." Away from international football, on 4 May 2009 Pride Park hosted the 39th FA Women's Cup Final, which saw Arsenal run out 2–1 victors over Sunderland to win the cup for a record fourth consecutive time, in front of a crowd of 23,291. Monster Jam at Pride Park Stadium. Although primarily a football venue, Pride Park Stadium has also hosted events away from sport. It first hosted singer Rod Stewart on 26 June 2005 while touring his Stardust: The Great American Songbook, Volume III album. This was followed by Red Hot Chili Peppers, who played at the ground as part of the tour for their Stadium Arcadium album on 5 June 2006. Monster Jam came to Pride Park Stadium on 28 & 29 May 2011. ^ a b Culley, Jon (10 May 2010). "Derby's muddy oasis of sulphur and spectacles". London: The Independent. ^ a b c d e f g h i j k l "From a tip to super stadium in 46 Weeks". This Is Derbyshire. 10 May 2004. Archived from the original on 26 September 2011. Retrieved 30 October 2013. ^ a b "Pride Park Stadium – History". Pride Park Stadium. Archived from the original on 30 August 2010. Retrieved 30 October 2013. ^ a b c d e Mortimer, Gerald (2006). Derby County: The Complete Record. Breedon Books. p. 56. ISBN 1-85983-517-1. ^ Mortimer, Gerald (2006). Derby County: The Complete Record. Breedon Books. p. 55. ISBN 1-85983-517-1. ^ a b Mortimer, Gerald (2006). Derby County: The Complete Record. Breedon Books. p. 57. ISBN 1-85983-517-1. ^ "Leaving grand old Baseball Ground was heartbreaking but we're set for the future with our shiny new stadium". Derby Telegraph. 12 September 2012. Archived from the original on 24 September 2015. ^ a b "Europeans at Pride Park". dcfc.co.uk. 21 June 2007. Archived from the original on 9 October 2007. Retrieved 30 October 2013. ^ Shaw, Phil (14 August 1997). "Derby's big night ends in the dark". London: The Independent. ^ Fletcher, Paul (2 February 2003). 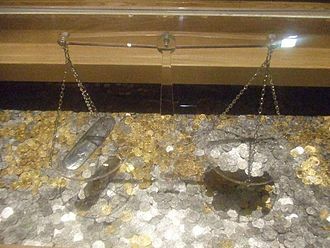 "Derby counting the cost". BBC Sport. ^ Mortimer, Gerald (2006). Derby County: The Complete Record. Breedon Books. p. 58. ISBN 1-85983-517-1. ^ a b Mortimer, Gerald (2006). Derby County: The Complete Record. Breedon Books. p. 39. ISBN 1-85983-517-1. ^ "Derby takeover deal is completed". BBC Sport. 29 April 2006. ^ "Two guilty of club takeover fraud". BBC News. 25 June 2009. ^ "Appleby: Rams' finances in fine health". derbytelegraph.co.uk. 21 August 2009. Archived from the original on 24 September 2015. ^ "Glick insists owners have a long-term goal as he answers fans' questions on Rams future". derbytelegraph.co.uk. 11 October 2010. Archived from the original on 23 September 2015. ^ a b "Rams announce £20m Pride Park development". BBC Sport. 27 April 2007. ^ "Rams announce stadium expansion". therams.co.uk. Archived from the original on 12 May 2008. Retrieved 30 October 2013. ^ "New owners reveal Derby ambition". BBC Sport. 28 January 2008. ^ "Rams Name The Date For Clough/Taylor Reveal". dcfc.co.uk. 27 August 2010. Archived from the original on 24 October 2010. Retrieved 30 October 2013. ^ "World Vision". derbytelegraph.co.uk. 18 May 2009. Archived from the original on 24 September 2015. 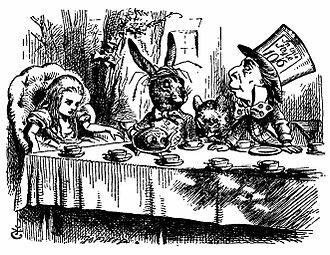 ^ a b c d e "Derby World Cup bid plans for Pride Park Stadium expansion unveiled". Derbyshire Telegraph. 22 July 2009. Archived from the original on 23 September 2015. ^ "It's all over now but arguments over FA's decision to go on". Derbyshire Telegraph. 17 December 2009. Archived from the original on 24 September 2015. ^ "Coventry City's Ricoh Arena chosen for Olympics". BBC Sport. 3 June 2010. ^ "Olympic Snub for Pride Park". derbytelegraph.co.uk. 3 June 2010. Archived from the original on 24 September 2015. ^ "Now Steve Bloomer really is watching". Derby Evening Telegraph. Archived from the original on 23 September 2015. ^ a b "Press Release: The Plaza @ Pride Park". dcfc.co,uk. 11 October 2011. ^ a b "Council Gives Planning Consent". dcfc.co,uk. 12 January 2012. ^ "The Plaza @ Pride Park: First Phase". dcfc.co.uk. 3 May 2013. ^ Moxley, Neil (13 November 2013). "Derby re-name Pride Park 'The iPro Stadium' with club set to net £7m". Daily Mail. DMG Media. Retrieved 13 November 2013. ^ Media, DCFC. "Derby County's Home To Revert Back To Pride Park Stadium". Retrieved 2016-11-18. ^ a b c d "England's Under 21 Matches 2001–". englandfootballonline. 19 October 2010. ^ "England U21 1- 0 Wales U21". ^ "Pride Park in line to host Europe Under-21 champs". derbytelegraph.co.uk. 19 October 2010. Archived from the original on 24 September 2015. ^ "Brazil are set to play at Pride Park in friendly". derbytelegraph.co.uk. 28 September 2010. Archived from the original on 23 September 2015. ^ "Next generation of Brazilian flair on show at the Rams' home as Ukraine lose out in friendly clash". Derby Telegraph. 12 October 2010. Archived from the original on 24 September 2015. ^ a b "Glick: We will try to host more internationals". Derby Telegraph. 12 October 2010. Archived from the original on 30 October 2013. ^ "Brazil boss bemoans poor turnout". FourFourTwo. 12 October 2010. ^ Leighton, Tony (4 May 2009). "Arsenal give Vic Akers the right send-off with the wrong performance". London: theguardian. ^ "Rod to perform at Pride Park". BBC.co.uk. 20 June 2006. ^ "Red Hot Chili Peppers debut new tracks in London". NME.com. 14 April 2006. ^ "Events: Red Hot Chili Peppers". BBC.co.uk. 6 June 2006. Wikimedia Commons has media related to Pride Park Stadium. The Hillsborough disaster was a human crush at Hillsborough football stadium in Sheffield, England on 15 April 1989, during the 1988–89 FA Cup semi-final game between Liverpool and Nottingham Forest. With 96 fatalities and 766 injured it is the worst disaster in British sporting history, the crush occurred in the two standing-only central pens in the Leppings Lane stand, allocated to Liverpool supporters. In the days and weeks after the disaster, police fed false stories to the press suggesting that hooliganism, blaming of Liverpool fans persisted even after the Taylor Report of 1990, which found the main cause of the disaster was a failure of control by South Yorkshire Police. Following the Taylor report, the DPP ruled there was no evidence to justify prosecution of individuals or institutions, the first coroners inquest into the Hillsborough disaster, completed in 1991, ruled all deaths on the day as accidental. Private prosecutions brought by the Hillsborough Families Support Group against Duckenfield, in 2009, Hillsborough Independent Panel was formed to review all evidence. The panel report resulted in the findings of accidental death being quashed. The inquest found that the design of the stadium contributed to the crush, Public anger over the actions of his force during the second inquest led the SYP chief constable David Crompton to be suspended following the verdict. 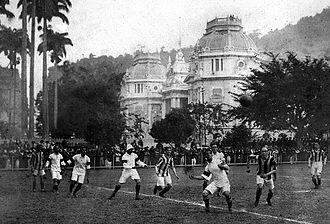 Kick-off was scheduled for 3,00 pm on 15 April, at the time of the disaster, most English football stadiums had high steel fencing between the spectators and the playing field in response to both friendly and hostile pitch invasions. Hooliganism had affected the sport for years, and was particularly virulent in England. From 1974, when these security standards were put in place and it emphasised the general situation at Hillsborough was satisfactory compared with most grounds. Risks associated with confining fans in pens were highlighted by the Committee of Inquiry into Crowd Safety at Sports Grounds after the Bradford City stadium fire in May 1985. 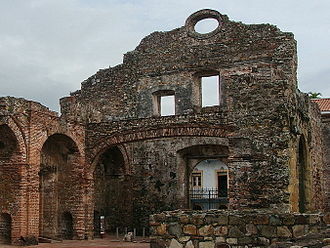 It made recommendations on the safety of crowds penned within fences, and capable of being opened immediately from the inside by anyone in an emergency. Barnsley Football Club is a professional association football club based in the town of Barnsley, South Yorkshire, England. The team play in the Championship, the tier of the English football league system. 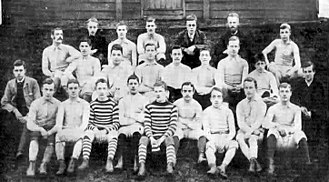 Nicknamed the Tykes, they were founded in 1887 by Reverend Tiverton Preedy under the name Barnsley St. Peters, the club colours are red and white, and their home ground since 1888 has been Oakwell. Taylor broke into the Barnsley team just after the sale of wing-half Danny Blanchflower to Aston Villa. Blanchflower would go on to sign for Tottenham Hotspur and be voted FWA Player of the Year twice as well as captaining the North London club to the first league and cup double of the 20th century. Barnsley FC was established in 1887 by a clergyman, Tiverton Preedy and they joined the Football League in 1898, and struggled in the Second Division for the first decade, due in part to ongoing financial difficulties. In 1910 the club reached the FA Cup final, where they lost out to Newcastle United in a replay match. However, they would reach the 1912 FA Cup Final where they would defeat West Bromwich Albion 1–0 in a replay to win the trophy for the first. When the league restarted after World War I, the 1919–20 season brought significant changes to the league. The principal difference was that the First Division would be increased from 20 teams to 22, the bottom team from the previous season was Tottenham Hotspur and they were duly relegated. The first extra place in the First Division went to Chelsea, derby County and Preston North End were rightly promoted from the Second Division which left one place to be filled. Henry Norris, the Arsenal chairman, had recently moved Woolwich Arsenal north of the River Thames to Highbury and he was to admit some underhand dealings, allegedly including the bribing of some member clubs to vote for Arsenals inclusion. They duly won the vote and Barnsley were consigned to the tier of English football for another 8 decades. 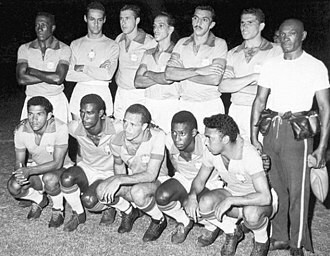 The club did come close to reaching the top division in the early years. Taylor Woodrow was one of the largest housebuilding and general construction companies in Britain. It was listed on the London Stock Exchange and was a constituent of the FTSE100 Index until its merger with rival George Wimpey to create Taylor Wimpey on 3 July 2007. Frank Taylor was working in the family fruit wholesaling business in Blackpool when, at the age of 16, with some capital from his father and a loan from the bank, Frank Taylor built a pair of semi detached houses, selling one at a good profit. The company built over 1,000 houses at Grange Park in Hayes, in 1935, the various housebuilding companies were amalgamated and floated on the London Stock Exchange as Taylor Woodrow Estates. In 1937, Taylor Woodrow Construction was formed and, after a modest start, with the outbreak of war in 1939, all private housing development stopped. For six years Taylor Woodrow built military camps and factories culminating in work on the Mulberry harbour units, by the end of the war, Taylor Woodrow had become a substantial construction business. The expertise was now turned to construction work at home. 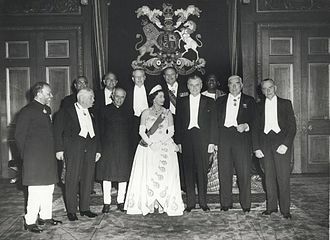 The first overseas construction was in East Africa where, amongst other things, moves were into west and South Africa and, in the 1950s, Taylor Woodrow expanded into Australia, Canada and, most important of all, the middle east. In the private sector, notable contracts included terminal buildings at London Heathrow airport, Taylor Woodrows original private housebuilding business was not neglected. Once building controls were abolished, Taylor Woodrow, responded rapidly, the centrepiece was the joint venture with Costain to build the dry docks at Port Rashid Dubai, described as the largest single overseas contract ever undertaken by the British construction industry. However, by the 1980s, middle east construction was declining, Taylor Woodrow had entered the commercial property market in 1964, its flagship project being the St Katharine Docks complex. By 1989, almost 60% of group profits was coming from rents, development profits, the collapse of the property boom led to exceptional write offs of more than £100 million in 1991 and 1992. Stefano Eranio is an Italian former football player, who played as a midfielder. 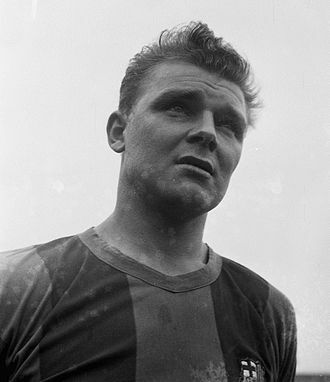 His main attributes were his technique, stamina, although he was primarily an offensive or wide midfielder, he was competent defensively, and he was occasionally deployed as a full-back. He was voted one of Derby Countys 11 greatest ever footballers, Eranio started his professional football career with Genoa in August 1984. His first five seasons at Genoa were in Serie B, until in 1989, in total, Eranio played for the club for eight seasons, before moving to AC Milan in August 1992. At Milan he won three titles, three Italian Super Cups and he played in two Champions League finals. 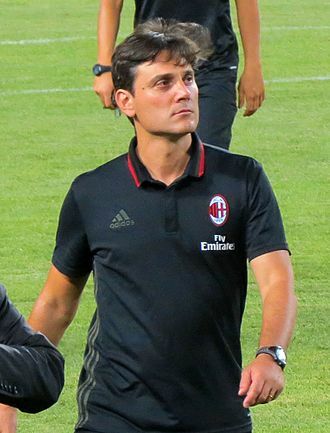 The first was in 1992–93, when Milan lost 1–0 to Olympique de Marseille, although he was part of the teams successful Champions League campaign during the 1993–94 season, but he did not play in the final due to injury. He added the European Super Cup to his collection in 1994. In May 1997 he moved on a transfer to the English club Derby County, where he became a fan favourite, he made his Derby. His first goal for the Derbyshire club came on 30 August 1997 when he scored in a game against Barnsley. Eranio had thought of retiring after the 2000–01 season, but manager Jim Smith persuaded him to stay on, when Smith was fired in October 2001, Eranio chose to leave Derby County. He retired in 2003 after spending a season with fourth division Serie C2 side Pro Sesto. He is widely considered to be one of the greatest and most influential players to play for Derby County and, on 1 May 2006, Eranio and Ted McMinn were inducted as Derby Legends. Eranio made his international debut for Italy on 22 December 1990, in a match against Cyprus, the game was a qualification match for the UEFA Euro 1992. His first international goal came in a friendly against the Netherlands on 9 September 1992, on 29 March 1997, Eranio played his last game for Italy, against Moldova in a 3–0 home win. In total, he received 20 caps, and scored three goals, with six of his appearances coming in World Cup qualifiers, and the other five in European Championship qualifiers. Real Club Deportivo Mallorca, S. A. D. is a Spanish football team based in Palma, in the Balearic Islands. Founded on 5 March 1916 it currently plays in Segunda División, team colours are red shirts with black shorts and black socks. The oldest club in the Balearic Islands, Mallorca was founded in 1916 by Adolfo Vázquez, a republican engineer, the first stadium, called Buenos Aires, was inaugurated on March 25,1916, with a 0–8 loss against Barcelona. And, on June 28,1916, Spanish king Alfonso XIII de Borbón honored the team with the title Real Sociedad, in 1917, the Catalan Federation admitted Real Sociedad Alfonso XIII into the Catalan Championship tournament. The Mallorcan team reached the final in Barcelona, where played against FC Palafrugell. And so, the Mallorcan club tried to broaden its sporting repertoire by incorporating a cycling team in 1919 and this coupled with the influence of the Second Spanish Republic caused the club to change its name to Club Deportivo Mallorca. Still with that name in 1945, the club inaugurated Es Fortínas the new stadium of the Balearic club. But, during that season and in honor of the man who had started working and preparing that ground three years prior, the club changed the name of the stadium Lluís Sitjar. In 1960, RCD Mallorca earned its first promotion to the División de Honor under the tutelage of coach Juan Carlos Lorenzo, in 1964, RCD Mallorca again earned promotion, this time to the Primera Division, under coach Cesar Rodriguez and president Baron de Vidal. Then, in 1969, RCD Mallorca earned its promotion to the Primera Division, with coach Juancho Forneris. This decade produced three promotions to the Primera Division, including the first in Club history, however, it produced the same number of relegations. 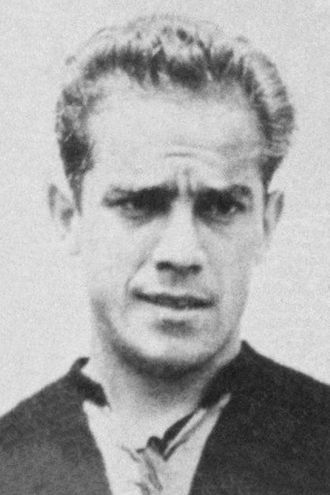 The scorer of the first goal for RCD Mallorca in the Primera Division was Joan Forteza and he was the only player to survive the roster changes from the previous season after President Jaime Roselló Pascual dismissed all other members of the roster. Meanwhile, the coach of that 1960´s squad was Argentine Juan Carlos Lorenzo and he led the team into the Primera Division all the way from the depths of the third division, for the first time on April 17,1960. The English Football League is a league competition featuring professional football clubs from England and Wales. Founded in 1888 as the Football League, the league is the oldest such competition in world football and it was the top-level football league in England from its foundation in the 19th century until 1992, when the top 22 clubs split away to form the Premier League. The league has 72 clubs evenly divided into three divisions, which are known as the Championship, League One and League Two, with 24 clubs in each division, the Football League has been associated with a title sponsor between 1983 and 2016. As this sponsor changed over the years the league too has been known by various names, the English Football League is the name of the governing body of the league competition, and this body organises two knock-out cup competitions, the EFL Cup and the EFL Trophy. The operations centre of the Football League is in Preston, while its commercial office is in London, the commercial office was formerly based in Lytham St Annes, after its original spell in Preston. The Football League consists of 70 professional association football clubs in England and 2 in Wales and it runs the oldest professional football league competition in the world. 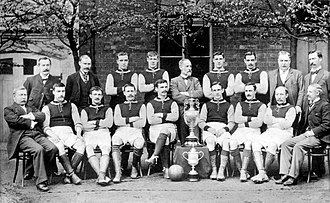 It organises two knockout cup competitions, the Football League Cup and Football League Trophy, the Football League was founded in 1888 by Aston Villa director William McGregor, originally with 12 member clubs. Steady growth and the addition of more divisions meant that by 1950 the League had 92 clubs, the Football League therefore no longer includes the top 20 clubs who belong to this group, although promotion and relegation between the Football League and the Premier League continues. In total,136 teams have played in the Football League up to 2013, the Football Leagues 72 member clubs are grouped into three divisions, the Football League Championship, Football League One, and Football League Two. Each division has 24 clubs, and in any season a club plays each of the others in the same division twice, once at their home stadium. This makes for a total of 46 games played each season, clubs gain three points for a win, one for a draw, and none for a defeat. At the end of the season, clubs at the top of their division may win promotion to the higher division. At the top end of the competition, three Championship clubs win promotion from the Football League to the Premier League, with the bottom three Premier League clubs taking their places, reserve teams of Football League clubs usually play in the Central League or the Football Combination. Since the 2004–05 season, penalties have existed for clubs entering financial administration during the season and it is required that a club exiting administration agree a Creditors Voluntary Agreement, and pay in full any other footballing creditors. Failure to do either of these result in a second. 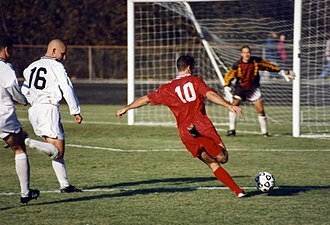 The other main situation in which is a club may lose points is by fielding an improperly registered or otherwise ineligible player. If a club is found to have done this, any points earned from any match that player participated in will be deducted, the EFL organises two knock-out cup competitions, the EFL Cup and the EFL Trophy. The West Stand of Sheffield Wednesday's Hillsborough Stadium, where the disaster unfolded, seen two years later in 1991. The Stockport Pyramid building provides administrative services, including a call centre for Smile and the Co-operative Bank. The former head-office branch of The Co-operative Bank in Balloon Street, Manchester. This branch has since closed. A statue of cooperative pioneer Robert Owen stood in front of the bank's head office in Manchester. The statue was removed in May 2013. Anatoliy Tymoshchuk and Andriy Shevchenko being honored by UEFA in 2011 for their 100th cap. They are the first and second, respectively, most capped players in the history of Ukraine. Andriy Shevchenko is the top scorer in the history of Ukraine with 48 goals.